How do I control paper clutter? How do I organize paperwork? These are definitely the all-time most popular organizing questions. It’s no wonder, after all paper never takes a break from flowing into our lives. Mail, kids school stuff, newspapers, magazines, coupons, fliers and so much more. It seems like every time you turn around someone is waiting to hand you yet another piece of paper. The paperless society is still just a dream so managing paper inflow is something we all have to deal with. Unfortunately, it’s a stressful issue for most people. Every piece of paper requires a decision. If you feel at all unsure about what to do with an item you might choose to delay making a decision. It’s a common coping mechanism. Saying ‘I will deal with it later’ might bring relief for the moment, but that tactic soon backfires. Before long you are going to find yourself surrounded by piles. Those piles quickly become clutter. And as we all know, paper clutter creates a serious sense of unease. So many things could be lurking in your piles. The possibility of missing something critical is very real. Is a bill going unpaid? Have you offended a friend because you didn’t RSVP to their invitation? Have you missed a sign up deadline for your child’s favorite activity? Any of these things are probable when you allow paper to pile up. Now let’s cut to the chase – paper needs to be dealt with regularly or it will get out of control. There is no other option unless you want to wake up buried. 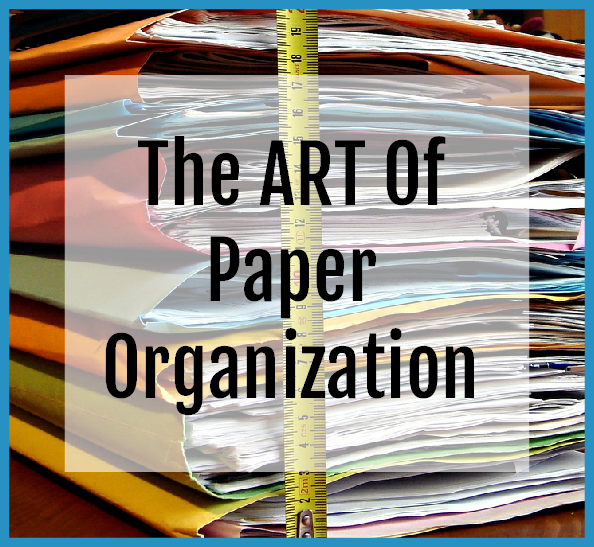 Luckily, the process for taking control of paper is fairly simple. There are really only three things you can do with paper. I am serious. Dealing with paper is not rocket science – it may be not be oodles of fun, but it’s not complicated. Three choices, that’s really it. If you have piles of paper waiting for you, understanding these three choices will help get your paper organized quickly and without stress. These papers don’t require action, instead they contain information you will want to refer to in the future. Reference items are really historical documents – they may be short term or long term. Types of things that fall into the short term category might be sports schedules, employee handbooks, manuals, receipts, takeout menus, and so on. Long time reference must be kept for legal, financial or historical reasons. Things that fall into this category might be tax returns, loan documents, home improvement records, property deeds, birth certificates, and so on. Let it go – recycle or shred, but in any event you say goodbye. Assuming you don’t have a special situation you can safely abandon a huge percentage of the paper that comes into your space. In this day and age most things, especially much of what falls in the short term archive category, is accessible online. It’s incredibly rare to let go of a document and not be able recover the information fairly quickly. Letting go of paper is the fastest way to manage it. A good question to ask yourself is this: What is the worse case scenario if I let go of this paper? If you can live with that answer – say adios. Not sure if you need to keep it? Most of what comes to us isn’t required keeping. Like bills, privacy updates and so much more. Find out what you need to know about keeping paper and tossing, and grab the handy What Papers To Keep and What To Toss Guide. To remember the choices you can think this as the ART of Paper Organization. A is ACT, R is Reference, T is Toss. Here’s a some good news: Ten minutes a day – that’s really all it takes to manage the average family’s paper flow if you make it a habit to deal with mail on a daily basis and you will save yourself time and frustration. But be sure you are doing this one thing first – containing your paper! Here’s a quick video on the why and the how of this important step in controlling paper clutter. 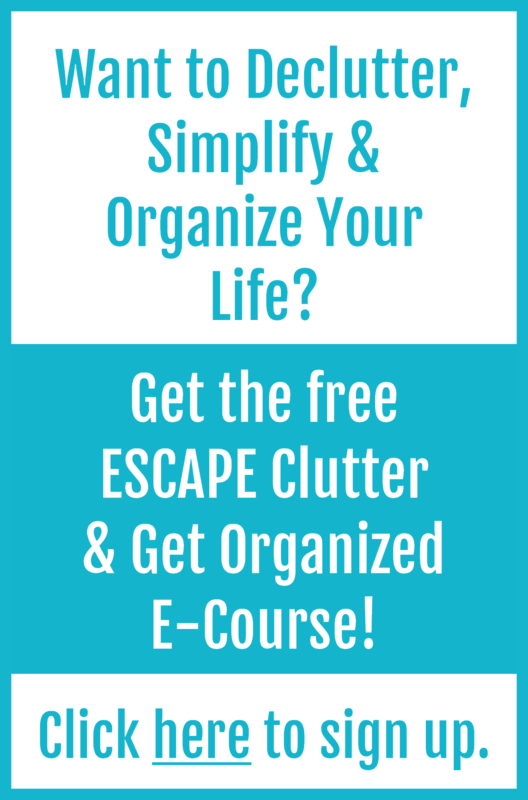 If you want more help be sure to check out Paper Organization Made Easy – it’s an online organizing workshop designed to help you manage and organize all the paper that makes its way into your life (and it’s satisfaction guaranteed! ).